We were delighted to host the first round of the ESU Competition in the Upper School in K Hall. 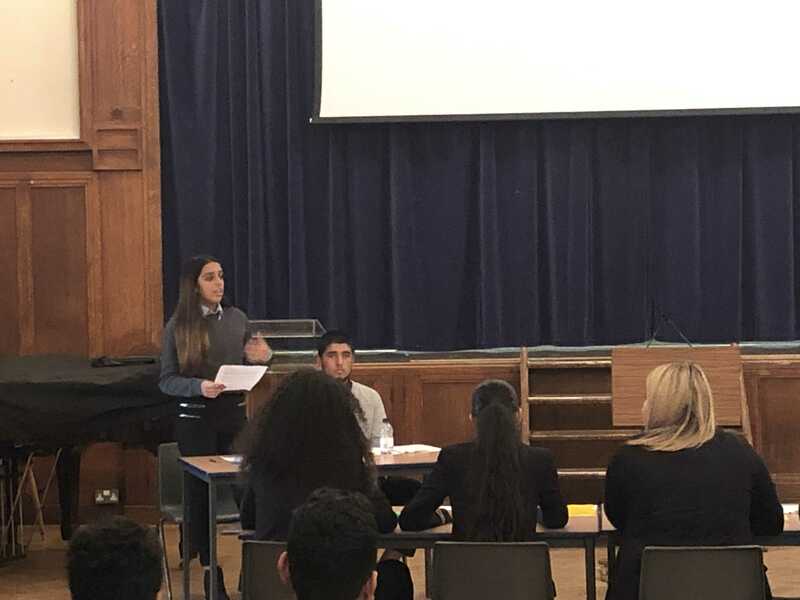 Six teams from schools around Brent enthusiastically debated the following motions: This house would ban the sale and consumption of meat, this house would build on the green belt, this house would weight votes such that the younger the voter, the more powerful their vote. The debates were judged by Eliot Pallot from the ESU, and David Moffat and Rachelle Regan from KHS – we thank them for their time and efforts. Year 12 listened to the Policy Director of Amazon UK as part of the sixth form speaker programme. 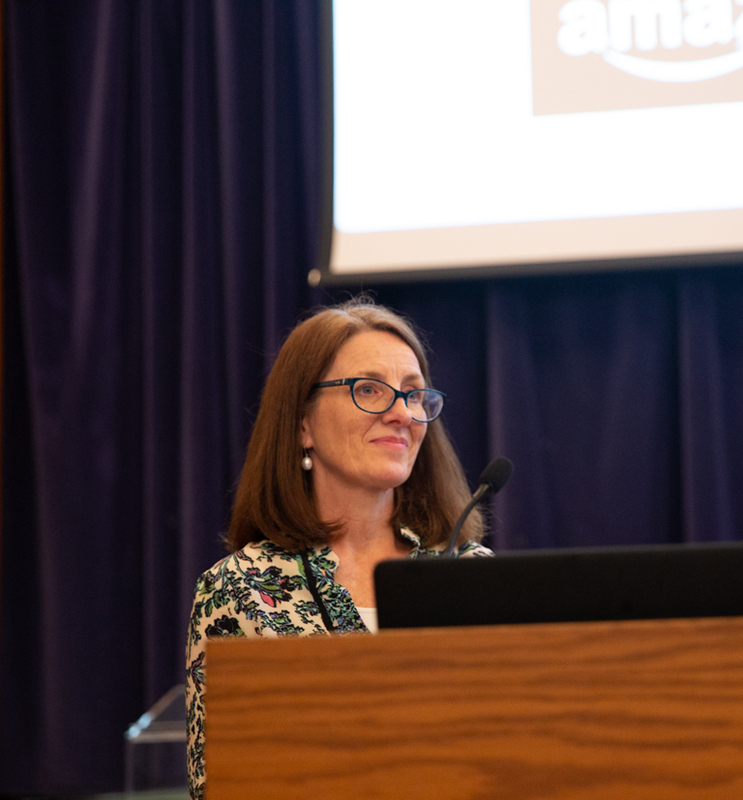 Lesley Smith outlined the broad spectrum of careers available at Amazon UK as well as Amazon’s amazing story from starting out in Jeff Bezoz’s garage selling computer books to a company valued at over 100 billion dollars selling 250 million items in Europe and over 500 million in the USA. Lesley also outlined her own career story to inspire everyone to work hard to achieve their goal. In the past, our Sixth Form Speaker Programme has included the CEO of Standard Chartered, the former Attorney General and member of Parliament, a surgeon, Chairman of the Royal Mail and a speaker from Google. 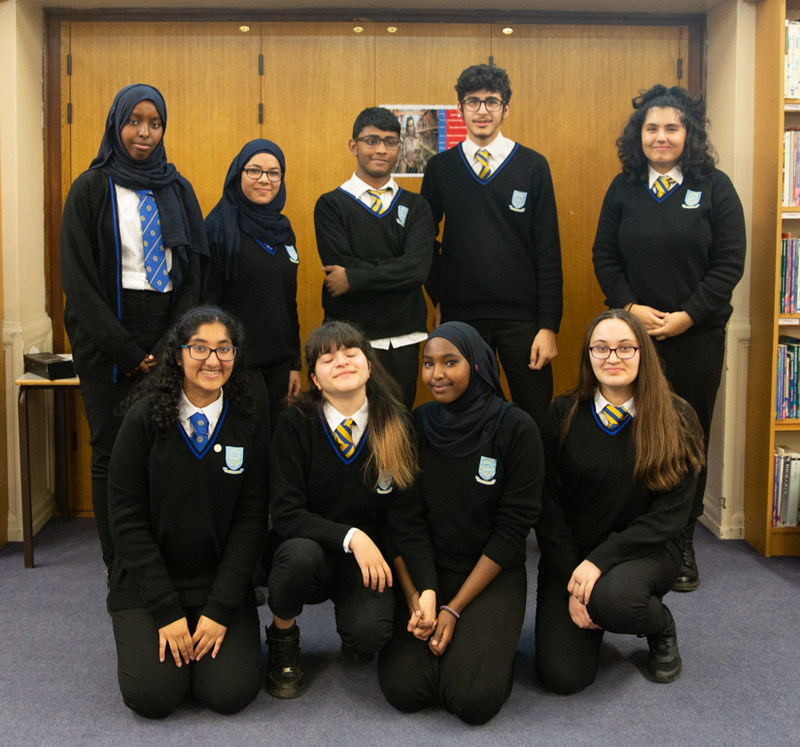 Congratulations to all the speakers, in particular to Siraad and Yasmin who have been selected to go through to the Brent final in January. Thanks also to Kamran Shaheen, Katherine Evans and Tahia Jahan for judging the event. 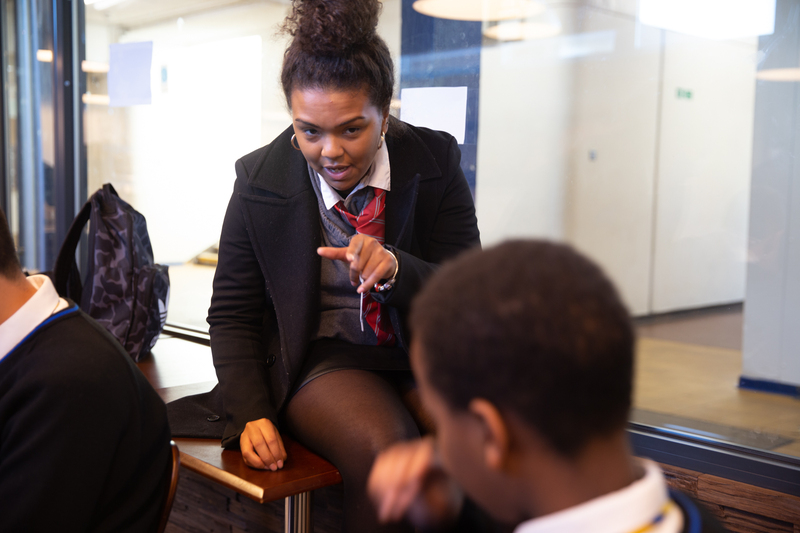 Our lower school students had the opportunity to take part in an Emotional Conflict Workshop, run by Barnet Education Programme and sponsored by the British Transport Police. The day was based on Emotional Conflict and how students can deal with this issue both in school and outside of school. A number of activities took place in different rooms where students got to discuss the topic, become part of the workshop through play and learn how to best deal with the confrontation. The workshop leaders complimented all of our students who were amazing and lovely to work with.